At today’s General Assembly in Barcelona the first union of basketball players competing in EuroLeague – The EuroLeague Players Association (ELPA) was established officially and Luigi Datome was elected as its president. Players’ representatives confirmed the Statutes of the association, formed the Players’ Board, elected its President, 1st Vice President and 3 Vice Presidents and appointed the Managing Director of ELPA. Luigi Datome has been elected as the President of ELPA for the next three years, Kyle Hinesas a 1st Vice President for a term of two years and Derrick Brown, Marcelo Huertas and Tornike Shengelia as 3 Vice Presidents for a term of 2 years. The Players’ Board appointed former EuroLeague player Bostjan Nachbar as the Managing Director of ELPA with full authority subject to annual budget approval by the Players’ Board. Nachbar appointed Anze Blazic as the Secretary General of the association. Both have been involved in the foundation of ELPA in the last couple of months, with Nachbar being the initiator of the project. Furthermore, the goals for the 2018/19 season were presented and confirmed. 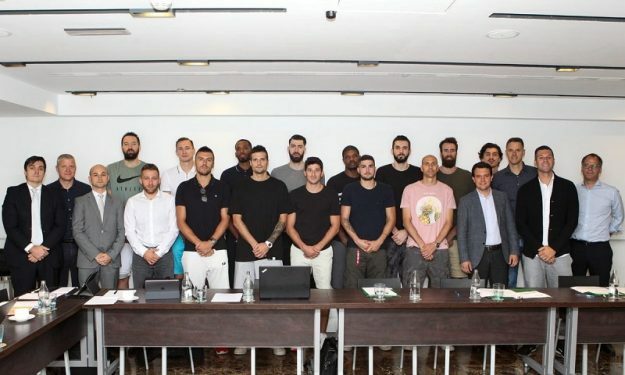 Besides the constitution of ELPA, they are mostly aiming for financial stability and good cooperation between and for the benefit of all EuroLeague players in the association and with the aim to adopt a Collective bargaining agreement in the near future. Representatives of ELPA will visit all the clubs and will meet with all the players, prepare solutions for 2019/20 and in order to promote ELPA and basketball in general will organize at least one event, focusing on young basketball players and charity.